Shubham Goyal | OK Listen! 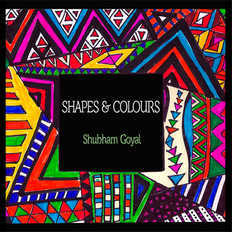 Shubham Goyal is an almost twenty one year old musician, literature student, a closet poet, writer and amateur photographer. 'Shapes and Colours' is his first singer songwriter album. He loves experimenting with and reinventing his sound. His songs are a unique blend of easy melodies and eccentric sounds and rhythms. When he isn’t reading books or playing the piano, you’ll find him trying to start some enterprise or another.